My acceptance of what has been unfolding within me has been gradual. Early on I realized that I was in this process whether I liked it or not, but it has taken a long time for my ego self to begin to graciously accept it. It was hard not to complain. I went through many phases, first the not knowing, then the initial adjustment, then “I didn’t ask for this”; “I’m too old”, then finally sufficient acceptance to allow a letting go of control, resulting in smoother forward movement. As it became more intense, my kundalini awakening process took prominence in my life. I managed my energy as best I could, pacing myself, meditating through wakeful nights. Sometimes there was fear but only occasionally a sense of terror… feelings and dreams that made me wonder where this was all leading. Some people do feel that they are going crazy, and a few end up in the psych ward, usually misunderstood by medical personnel. Christina Grof had unusual physical symptoms after plunging into kundalini experiences after childbirth. She went blind for a few days after one incident, I have read. Her modus operandi was to see a medical doctor whenever any physical symptom bothered her, to rule out serious issues, not revealing anything about her kundalini process. My medical doctor is very special, and is aware of my process to some degree. He understands that my experience is one type of spiritual awakening, as he has been on his own unique path, and has helped others for many years. I believe medical personnel and energy workers need to be aware of the possibility that their patients are having experiences that are not “mainstream”, therefore part of my job is to be open about my process in order to educate them. Bonnie Greenwell’s wise advice for dealing with initial awakening may be helpful to you. I only discovered Bonnie a few months ago, and wish I had found her sooner. However, I was in a reactive stage, fighting the process earlier, so my ego self may not have been open to Greenwell’s counsel. Everyones’s process is different, yet there are major overlaps. Some folks may experience more physical symptoms, while others have more emotional/ psychological manifestations of kundalini. Not everyone has each symptom. From personal experience and from her work with others, Mary Shutan describes three phases of kundalini. The problem here is that the phases are not discrete, the kundalini process is ongoing and circular, we go back to earlier stages and areas of the body that have already been worked on. The First Phase, often centred in the first three chakras, is intense, Shutan writes. Often we have no idea what is happening to us, as in my case. Some people write about temporary experiences of oneness, bliss and peace during this time, but this was not my experience. As things evolve, we begin to question many things about our lives and our society, what Shutan calls the Second Phase. This fits for me, my questioning of how our society and the world functions has intensified. Many random memories have arisen over the past three months in year three of my process, as I struggle to place my life to date within the context of my current life passage. Although the clearing symptoms are still heavy often, I sometimes feel that I can ‘see the forest for the trees’ now. I am able to access more insight and positive thoughts and feelings than before. This gives me a feeling of moving forward. There is a growing sense that I have been freed from some internal constraints. My heart chakra is more open, and despite needing to socialize less, I feel connected to some people in a different, somehow truer way, and love myself more now. My Grandmother guides help me tremendously in this process, as does my connection with the Divine Love energy and my Chopra meditation technique. Unfolding, resting and learning characterize Shutan’s third phase. I do feel that I am unfolding, and also resting, and unfolding does require a great deal of space and rest. My internal push to do has faded as I let go of control more. There is a sense that I am more me now, a truer me. My already simple life has become simpler. Since Kundalini is mostly unknown in the West, undergoing an awakening is often a lonely, isolating experience. When I tried to tell people what was happening to me energetically, emotionally, and psychically they were at a complete loss as to how to react, often saying unhelpful things or perhaps making a joke. In the earlier days I sometimes felt as if I had two heads! “…Most people can only apply their personal paradigm, says Bonnie Greenwell , “…a perspective based on their own experience.” Now, farther along in my process, I am more confident about putting myself out there, however, I only speak to those I trust about the subject. As the months slowly wore on, my holistic doctors realized that I was ungrounded, and taught me medical chi gong exercises meant to help me ground myself, ones that I still practice today. They are subtle but helpful. My acupuncture and chiropractic treatments work with the kundalini energy to balance my body and ground the energy also. I’m very grateful to have these doctors. Sadly, they and one dear friend are the only people who appear to have more than a superficial understanding of what I’ve been going through. Finding the right support people is important. If you have troublesome physical symptoms, consult a trusted MD or naturopath, for old emotional and psychological issues, a spiritually oriented or transpersonal therapist may help. If in doubt about physical or emotional issues, always seek out trusted professionals to rule out medical issues, and confide in supportive friends and family, (even though they may be mystified by your process, they will want to help). The Spiritual Emergence Network, founded by Christina & Dr. Stanislav Grof, may be a good place to begin. The unfolding of my kundalini has so far been challenging, but containable. My life experience, spiritual underpinning, my “good ego strength”, (according to Judith Duerk, my mentor many years ago), and non-working lifestyle have meant that I’ve been able to manage the day to day experiences relatively well. Being a survivor (of life and of sexual abuse), I have learned to function in most circumstances, even when I feel unwell. I guess you could say my motto for life is “Never give up”! There has been no choice for me but to ride this energetic process through. As Greenwell says, “It’s doing me.” It feels like a rebirth. I am able sometimes to stand outside myself and observe…both myself and others. The Grandmothers have been a constant in my life, they have held the space for me and, I believe, accelerated my process, particularly the work we all did together at the Gathering retreat at Joshua Tree Retreat Centre last April, two years into my process. Daily walks have been of great benefit, along with specific stretches when parts of the body call out to me; both help move the energy. Plenty of quiet, alone time helps me be in relationship with my process. Kundalini awakening draws much energy from the core, so lots of rest is necessary, especially in later stages. Eating regularly helps me stay grounded. Good food along with B vitamins and a herbal nervous system tonic have helped build up my nervous system. Although alcohol may seem like an effective self medication, little or no alcohol seems to be best. Recently I have found both the taste & effects of wine quite unsatisfactory. Energy work with acupuncturists who have knowledge about kundalini has helped me ground the rising energy & balance my body overall. To bring the energy down later in the day, I soak my feet in a pail of hot water with epsom salts, do medical chi gong exercises and take Traditional Chinese Medicine harmonizing pills called Cinnamon-D.
CBD oil with low level THC has assisted me with anxiety and sleep issues over the last two months. Most importantly, I am learning to be kind and gentle with myself as I go through this amazing process. Although I have continued to go out into the world in a somewhat limited way, socializing, volunteering with refugees, and singing in a choir, the place I dwell in is not the same one as before. I am different now. I remember it well…my difficulties began in the spring of 2016. In retrospect, there may have been some subtle energy movements over time, but my first awareness of something intense and unusual happening was after I received several laser acupuncture sessions on my occiputs, (at the base of the head), to relieve head congestion. It was an completely unexpected side effect of the treatments. Kundalini awakening is not for the faint at heart. It is a profound process, one that disrupts your life. My body felt out of control, my chakras seemed to be imploding, particularly my second, sacral one and third, the solar plexis. It was unlike anything I’d experienced in my time on the planet. I frequently needed to rest, with my head supported, to ease my neck heaviness. It seemed I was under attack from an unseen force – but it was coming from within me! Fear of the unknown is familiar to most of us. For a long time I fought the process, trying to control what could not be controlled. Being a fearful person historically, a survivor of various traumas, resistance was my way of not losing myself. Very gradually, over time, I learned to ‘lean into it’, to trust that what was happening to me, although disturbing on every level, was not malevolent and would strengthen rather than destroy me. Slowly, I came to believe that there would be a positive outcome. What is Kundalini & Kundalini Awakening? Kundalini energy, when triggered, rises up from the base of the spine where it is coiled from birth, trying to clear a path so it can flow. It is our life force. 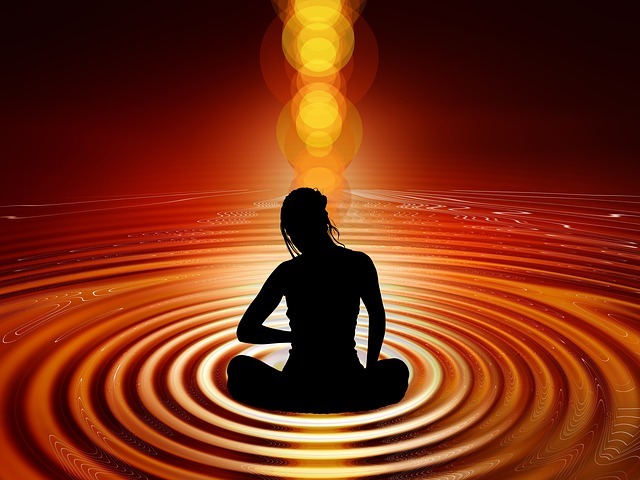 Kundalini is a deep physical, emotional and spiritual process, a form of spiritual awakening. It pares us down, layer after layer, leaving us emptier and free-er. When this energy is activated it moves up through the chakras, in a snake like movement, until it gets to the head chakra, then it circles back to the first chakra and begins the process again, until all the blocks are cleared. It affects both the major and minor chakras and each organ, tissue, layer and cell of our body, over time slowly emptying us out. There are many esoteric descriptions of kundalini energy. To Carl Jung, kundalini was the goddess within us. It has been said that Jesus’ Living Water, (or Holy Spirit) was kundalini. It seems plausible to me that Jesus worked with kundalini, as it is well documented that he spent his “lost years” in the East studying Indian and Tibetan theologies. Kundalini is personified as a goddess in Hindu mythology, sometimes as Durga, the creator and sometimes Kali, the destroyer of negativity. It is said to destroy impurities and purify organs. Unfortunately, kundalini is not recognized in Western cultures by most people. There is a lack of good information available for those of us going through this process. I did not find comprehensive, in depth information until the last few months, before that it was mostly just lists of symptoms. While validating my process to some extent, the lists touched the surface only, they did not plumb the depths of my experience. There are no accidents, it is said, and I believe this more and more. Often things happen in life when we are ready for them. I was a prime candidate for this experience, having been on a search for meaning and connection with the Divine for forty years. I have been a meditator for many years, a yoga practitioner, a member of the Divine Love (divinelovesanctuary.com) prayer group, host a monthly Net of Light group, have had exposure to Tibetan Buddhism, and spent time in India. Also I experienced traumas in my earlier life, often a factor in kundalini awakening. Although I never consciously asked for this, clearly my soul did. Kundalini openings can occur by design, (kundalini yoga training), or spontaneously, through unexpected events like mine, childbirth or some type of trauma, including accidents. Most people seem to ‘fall into it’ in a seemingly random manner. Because we as adults have many blocks throughout the body, the awakening process is often a gruelling one, challenging us to the max. I would like to stress that it is not the kundalini energy per se that causes the difficulties, but the energy blocks. Our nervous system is under seige as it is unable to handle the powerful energy moving through it. An analogy I’ve found helpful is to imagine putting a very high voltage light bulb in a small lamp. Although it has been written that Kundalini awakening has an “intelligence”, it does not necessary follow the pattern described above, or anything resembling a clear pattern. The intelligence of kundalini is not left brain, linear intelligence, it is an alternate form of intelligence, (for example ’emotional intelligence’). In my experience kundalini can move in more than one area of the body simultaneously, or alternate as the day (or night) goes on. For example, last night the kundalini was active in my shoulders, making me restless, and today I felt it settling in simultaneously in my neck and shoulder tops, while also dipping into my legs, briefly bringing on stiffness and weakness. Each of us is unique, so although our experiences overlap, our journey is ours alone, and unlike anyone else’s. It works the way it does because of our unique blocks – everything that makes up Ellen, including all my life experiences, traumas, physical and emotional being, both in this lifetime and in past lives is part of my kundalini pathway. For example I have always had many blocks in my neck and head; apparently I died by strangulation and being hit on my neck in several lifetimes, so this would be part of the neck unblocking. Sexual abuse at an early age, and the grief of losing my first baby when she was only two days old, have created many cellular memories in my body that are in the process of releasing. The symptoms that you may experience are almost endless, as kundalini awakening affects every body system and cell in one’s body, as mentioned. To this list, other symptoms could be added, (I have not experienced all of these): Twitches, (once as I lay in bed my left hand flapped! ); Spontaneous Yoga poses, (an odd but apparently common one); Digestive issues; Inner sounds; Feelings of joy; Addictions, Snake dreams, and so on.